2018 has been a very colour and eventful one. I did compose music for a radio play for Ö1 called „LEXIT“ by Caroline Hofer, played multiple solo shows and showings of the theater play „Die andere Hälfte des Himmels“. 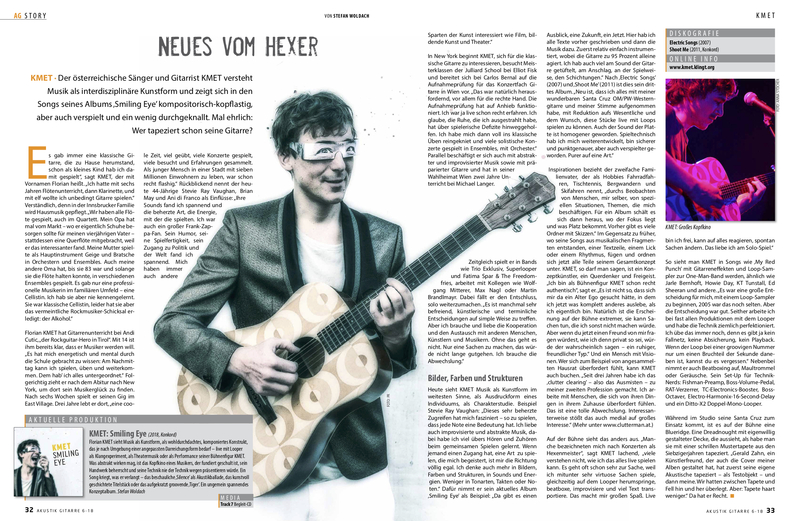 The renowned German Magazin “Akustik Gitarre“ feature me in their fall edition in an article called „Neues vom Hexer“. It spans from childhood to my latest release, and is well written. Enjoy :-) !